Buying a home can be stressful, time-consuming and overwhelming. Finding something “affordable” in the Roaring Fork Valley free market can be challenging to say the least. The folks at Pitkin County recognize that coming up with enough of a down payment or qualifying for a mortgage to purchase a property in the Valley may be what prevents employees from purchasing homes and putting down long term roots. It is for this reason that Pitkin County has put together two programs to assist their employees to transition from being renters to becoming home owners. Information regarding the County’s deed restricted housing and down payment assistance programs can be found on my website. My name is Sally Shiekman-Miller and I am a licensed real estate professional with Aspen Snowmass Sotheby’s International Realty. I have been listing and selling homes in the Roaring Fork Valley since 1992. I also manage long term rental properties in the valley. 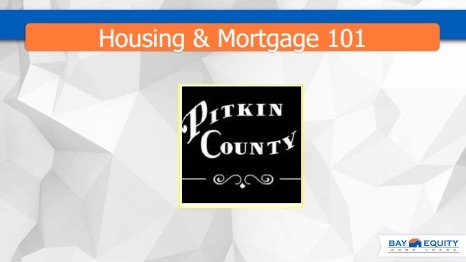 I’ve represented Pitkin County as their Buyer’s Broker for over 5 years and the County has engaged me to serve as a contact for County staff to navigate the complexities of purchasing properties in the Roaring Fork Valley. Although I am happy to discuss your rental needs if you aren’t in a position to purchase a property at this time, the focus of this page is to provide information regarding the purchase of real estate. Please feel free to email me at Sally@sallyshiekman.com or call me at 970-948-7530 with any questions you may have. Jody Cooper, Wells Fargo Home Mortgage, 970-544-2333, jody.cooper@wellsfargo.com. With her passion and knowledge for the area, Sally is the ideal professional to help you make the most of your opportunities here in Aspen and the Roaring Fork Valley.